"I believe that coaches must intermittently attend courses to keep them abreast with modern day trends of coaching and also to have training sessions with experienced managers so that they can inculcate in us some of their technical abilities," he noted. 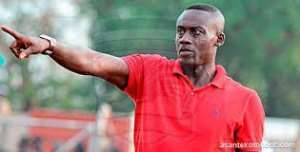 "My assistant coach, Joe Agyeman Snr, who is also a former player will occupy my position temporarily as head coach. I have no doubt in his capabilities at all," he said confidently.